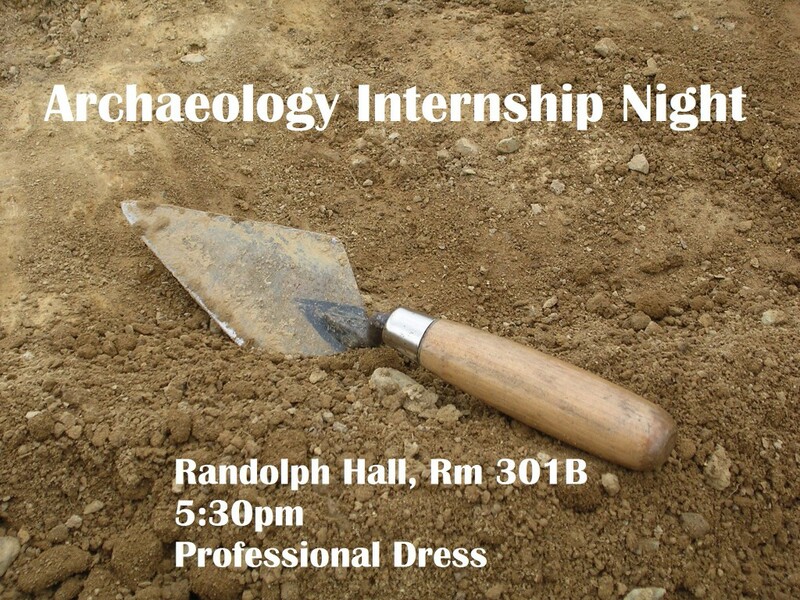 Archaeology Club Meeting: Internship night, Thursday at 5:30pm! The Archaeology Club will be meeting this Thursday evening in Randolph Hall, Room 301B, at 5:30 pm. 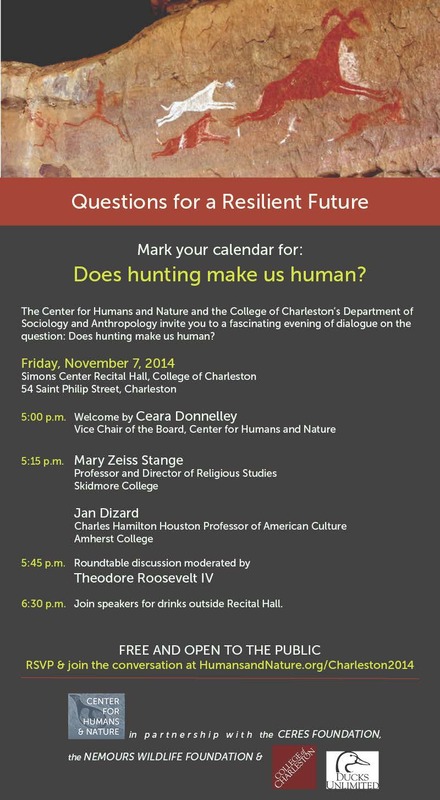 In attendance will be a number of archaeologists from the area, discussing internship opportunities for the coming semester. Field school participants will be introduced to the basics of field archaeology. They will learn proper excavation techniques, archaeological survey, principles of field conservation, record keeping, site management, and archaeological surveying. Opportunities for field trips to nearby archaeological sites, such as Selinus, Lamos, Perge, Anamur, Alanya and the Alanya Museum will be arranged. $3150 for one session, $5800 for both sessions. Price excludes tuition and fees if taken for academic credit. Academic credit is optional. Participants can earn 3 or 6 credit hours through the University of Nebraska–Lincoln. Undergraduate- $782.75, resident or non-resident, price includes tuition and fees only. 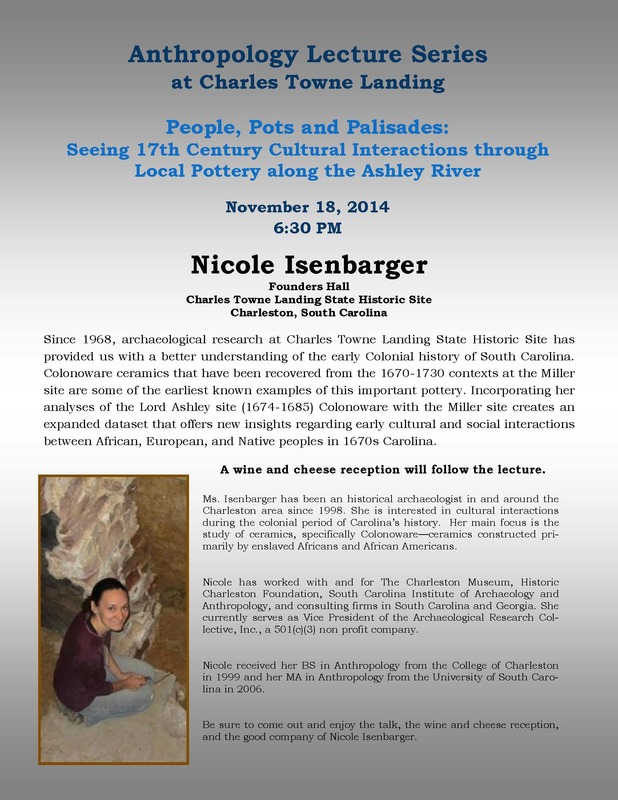 WASHINGTON, DC – November 6, 2014 – The Institute for Field Research (IFR) and the Society for American Archaeology (SAA) have teamed up to provide two new undergraduate student awards-one for best paper and one for best poster, each with a $1,000 prize! Each paper and poster awardee will receive a $1000 prize provided by IFR. To further foster undergraduate participation during the Annual Meeting, the IFR will be sponsoring a morning coffee where students will be able to network with archaeologists and learn more about scholarship and fieldwork opportunities. The submission deadline for the 2015 prizes is March 15, 2015, and all entries will be evaluated based on three overarching criteria: 1) intellectual creativity, 2) originality of topic, and 3) quality of presentation. For more details on submission guidelines and formatting, see http://bit.ly/1yFRF4y. To learn more about the Institute for Field Research, please visit www.ifrglobal.org. If you have any additional questions, please contact the IFR Undergraduate Awards Committee chair, Dr. Wes Bernardini, at wesley_bernardini@redlands.edu. The Society for American Archaeology is an international organization dedicated to the research, interpretation, and protection of the archaeological heritage of the Americas. With more than 7,300 members, the SAA represents professional, student, and avocational archaeologists working in a variety of settings including government agencies, colleges and universities, museums, and the private sector. 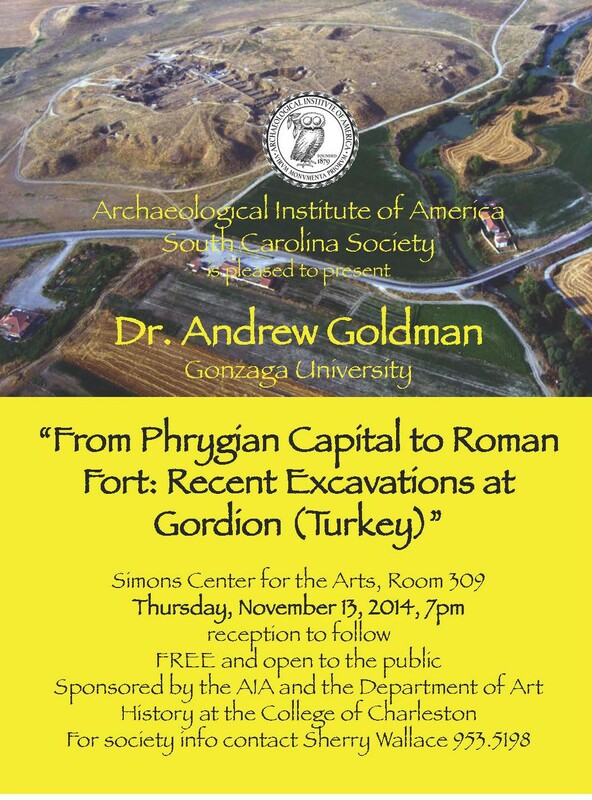 “From Phrygian Capital to Roman Fort: Recent Excavations at Gordion (Turkey)”!